Trying to figure out what’s going on with the upcoming screening schedule for The Wind Rises, Hayao Miyazaki’s final film expanding into more theaters on Friday, could be a fitting metaphor for the movie itself: There’s a certainly a thing of beauty in there, but trying to find it may take repeat viewings. Fandango sorts Consolidated theater listings into ill-defined “VIP Room” and “Five-Star Lounge” categories, some screenings listed on Fandango aren’t reflected on Consolidated’s site, and Regal’s Windward Stadium listing actually changed completely between Tuesday and Wednesday … and remains incomplete, to boot. It took a fair amount of staring — this post has been in the works for three days now! — but I think I finally have a handle on the schedule. As I noted in my last post, the film’s expanding to more theaters starting Friday. Three of those — Consolidated’s Pearlridge and Kahala complexes on Oahu and the Kaahumanu complex on Maui — will be joining Consolidated Ward in offering both the subtitled and English-dubbed versions. Consolidated’s Mililani and Kapolei theaters (and as far as I know, the Regal Windward and Dole Cannery theaters) will be showing the dub exclusively. As for that whole “VIP Room” and “Five-Star Lounge” thing on Fandango? It seems like the “room” listings match up with the subbed screenings, while the “lounge” listings match up with the dubbed screenings. Weird, I know, especially considering “English dubbed” and “English subtitles” headers are on the Consolidated Ward listings, but it is what it is. If you’re curious as to how the English dub turned out, the Wall Street Journal’s “Speakeasy” blog posted an exclusive clip. In the 2013 Oscar-nominated short “Possessions (Tsukumo),” a lone traveler meets some unusual spirits at an abandoned shrine. In “Gambo,” a mysterious white bear protects the royal family from an advancing demon. Featuring character designs from Evangelion designer Yoshiyuki Sadamoto. In “Combustible (Hi-no-Youjin),” love, honor and firefighting come together in a tale from ancient Japan. “A Farewell to Weapons” features men battling robotic tanks in apocalyptic Tokyo. Sound interesting? You’ll have all of one shot to see it in a theater (as long as that theater is at Consolidated Ward or Kaahumanu), on Monday at 7 p.m. Prices are standard non-matinee rates. 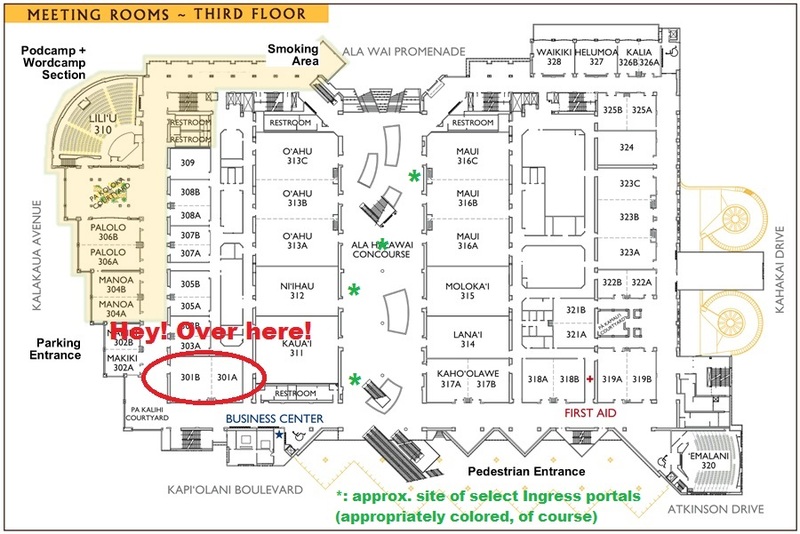 Here’s the Ward ticket link; here’s the Kaahumanu ticket link. If you miss that, the shorts will be available exclusively on the PlayStation Network later this year. I was shuffling between the Mililani Town Center gazebo and a Jamba Juice store on Monday — why, exactly, is not really important to this discussion (*cough*takingoverIngressportals*cough*) — when I spotted something in the window of the Mililani Stadium 14 theaters that I’ve been waiting to see for a while now. 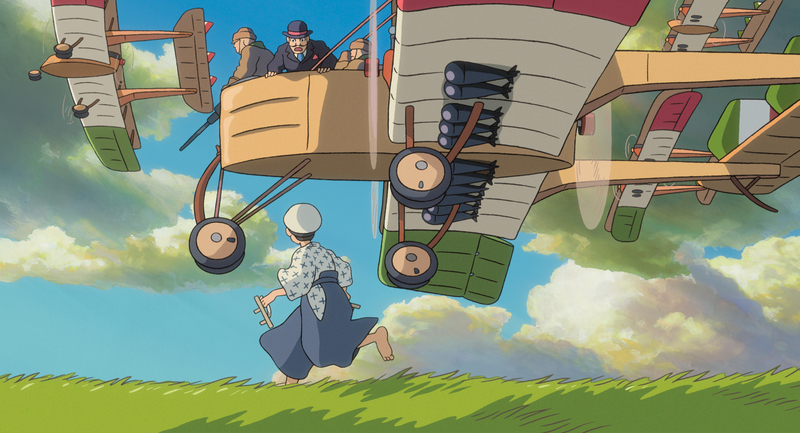 There was a poster for The Wind Rises, director Hayao Miyazaki’s feature film swan song (or maybe not, who knows) and Oscar-nominated animated historical drama about airplane designer Jiro Horikoshi. Indeed, for those of you who like preparing ahead for such things, tickets are now available on Fandango for screenings starting Friday, Feb. 21, at least through Sunday, March 2, at most theaters. The bulk of the screenings available are for Feb. 21-27 at the Consolidated Ward Stadium complex, but shows are also available Feb. 28-March 2 at the aforementioned Mililani theaters as well as Consolidated’s Pearlridge West and Kahala 8 theaters and the Regal Dole Cannery 18 complex. Consolidated’s Kaahumanu 6 theaters in Kahului have tickets available for Feb. 28-March 6. For the first week, at least, the Ward theaters will be switching between the English-subtitled and dubbed versions, so for those of you who don’t care about Joseph Gordon-Leavitt’s take on Jiro and would much rather prefer to hear the voice of Evangelion director Hideaki Anno in the role, you’ll have the option to watch that version. 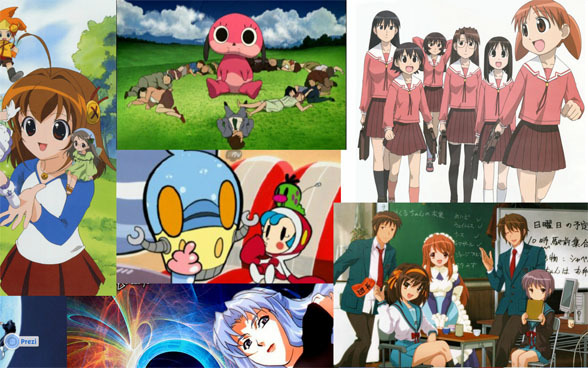 Catch the dubbed version at 10:45 a.m. and 4:35 p.m. or the subbed version at 1:40, 7:30 and 10:25 p.m. daily through Feb. 27. Here’s the official trailer to get you ready to see it, where not a single word is spoken. See you at the theater.